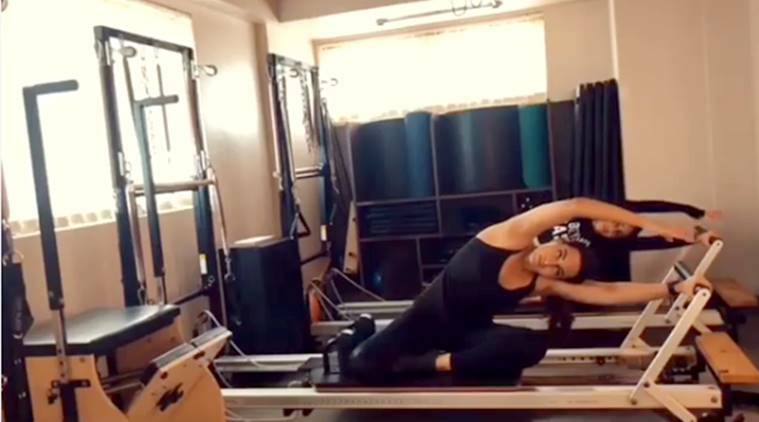 Sonakshi Sinha along with celebrity fitness trainer Namrata Purohit took to Instagram to share a video in which they were seen stretching their muscles on a reformer. It comes as a much-needed dose of motivation. Sonakshi Sinha’s workout and transformation while embracing body positivity has been nothing short of inspiring. Recently, the actor along with celebrity fitness trainer Namrata Purohit took to Instagram to share a video in which they were seen stretching their muscles on a reformer. Captioned, “winding to unwind with @aslisona always feels so good to stretch! !”, the video comes as a much-needed dose of motivation. Doing exercises on a reformer has its own advantages. One of the most versatile ways of doing a workout, it increases flexibility and helps in building general strength. Stretching activities are important for any fitness or exercise regime as it helps in lengthening the muscles and giving it a good stretch, thereby increasing flexibility. It also decreases the risk of injury that might happen during the course of working out. Another added benefit being, it increases the blood flow in your muscles and gets rid of waste byproducts in the muscle tissue. A few days ago, we spotted Sinha and Purohit showing some core burning exercises. Core exercises mobilize the hips, thighs, glutes, and the back. This prevents back pain and also relieves persistent pain. If core training is done in an effective and regulated manner, it can help reduce the girth of the waist. Ready to go for a kill on the reformer? Let us know in the comments section below.